ALL THAT LOGO’S! « Trendlogic bv. It’s the first impression that seems to count. People are more interested in names ‘BRANDS’. For who you worked seams more important, than what you really mend for them. For some of these companies, like WE fashion retail, I was Design director for over 6 years, creating successful men, women and kids collections with designer and buying teams. You can’t see that by just looking at a logo! Some of these listed brands I still work for. Like Kaemingk and Bolsius. Dutch top companies that create international home decoration collections. Beside brand consultancy and design management, trend and colour advise is given on a regular base. Horticulture clients embrace total brand stories since TRENDLOGIC was founded in 2006. 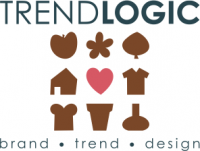 I am really proud that companies as Opti-flor, SV.CO, Amigra, LG flowers and a lots of others totally changed their marketing and design by working with the TRENDLOGIC team. I do not ask them for promoting me by sending quotes. The proof of the effectiveness is to be seen in their success!